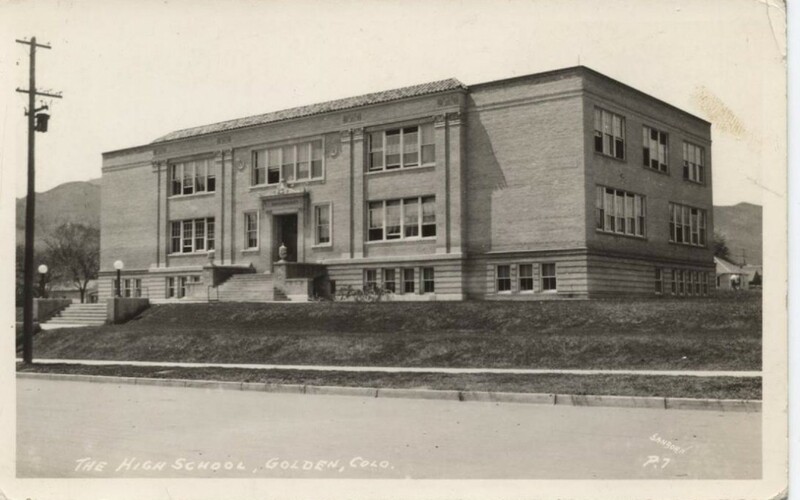 Another major project was the former Golden Senior High and Junior High School. The property was bought from the R-1 school district. Through a very fortunate meeting between Mayor Marv Kay (also on the Foundation Board) and Glen Porzak of the American Alpine Club, an agreement was reached whereby the American Alpine Club and Colorado Mountain Club purchased the property. The two organizations formed the American Mountaineering Center. The sales agreement required the AMC to retain the historic character of the exterior of the building and invest in remodeling the building.